Three carriages of the international express train ‘Bulgaria Express’ from Moscow to Sofia derailed near Kurilo station, close to the Bulgarian capital. No injuries were reported and the passengers have been transferred to another train. 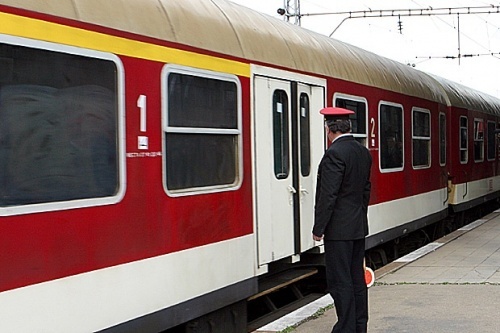 There were 19 Russians and 30 Bulgarians on board the 8-carriage train, Bulgarian State Railroad company, BDZ, stated. Bulgarian Transport Minister, Alexander Tsvetkov. Is set to visit the site of the incident, although it is not yet clear what caused it. Bulgaria is currently in the grip of a heavy snow storm with over 40 cm of snow falling across the country. Meanwhile, a minibus with 11 passengers overturned on the Sliven-Yambol ring road in South-East Bulgaria, injuring a number of people who were transferred to a local hospital. Near Plovdiv a 41-year-old man died after his jeep overturned on an icy bridge and fell into the river close to Popovitsa village. His wife was injured in the accident.